We believe that learning fine arts such as art and music is an important part of every student’s education. We believe that being successful requires creativity and innovation, and students who participate in the fine arts develop these attributes to become well-rounded individuals. 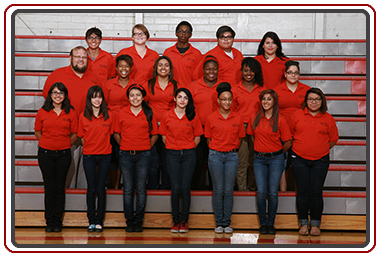 The Music Department at SCVUHS has a long and rich tradition of excellence in performance and academic success. 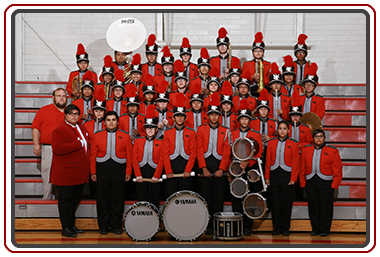 The music performances of the Santa Cruz Dust Devil Marching and Concert Band, Mariachi Cielito Lindo, and Varsity Singers are comparable to those of much larger schools. 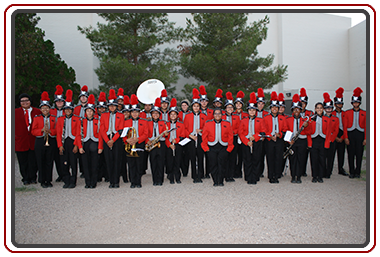 The marching band continually performs in California and throughout Arizona in parades and at music festivals. 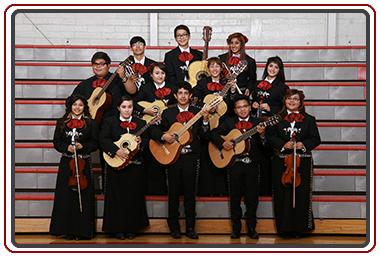 Mariachi Cielito Lindo performs at various conferences, community events, and private functions throughout Arizona.